There were 5 wineries on our tour and every one had a Viognier wine. I hadn’t heard of it before but my ears perked up when the man at the last winery gave us a brief history of the Viognier grape as he was pouring some for us to taste. He said that this grape is very old, believed to have been grown by the Romans. This grape comes from the Rhone region in Provence, France. An area very popular with the Romans. However, by the 1960s it was almost extinct and limited to French wine from Condrieu. 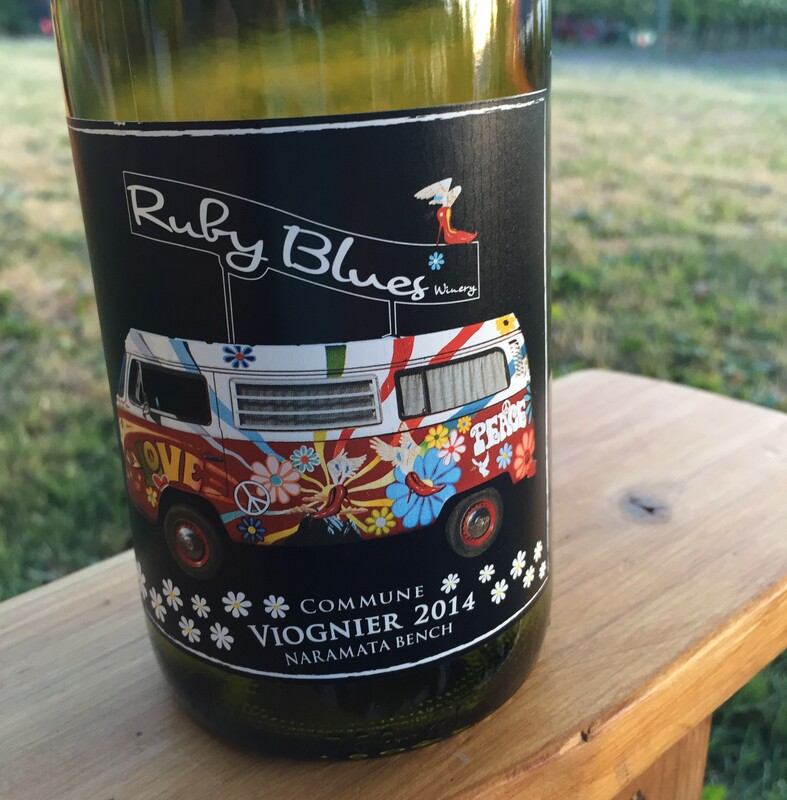 It has made a resurgence and is now popular in new world wines made in Australia, New Zealand, South America, the United States, and here in Canada in the Okanagan Valley. I’ve since done a little internet research and, though I haven’t found a primary source for this information, the story that is repeated is that Roman Emperor Probus brought the Viognier vines from Dalmatia to the Rhone valley around AD 281. Our little place in the vineyard overlooking Lake Okanagan. I wasn’t expecting to find a viticultural Roman footprint on this year’s annual getaway with my daughter. 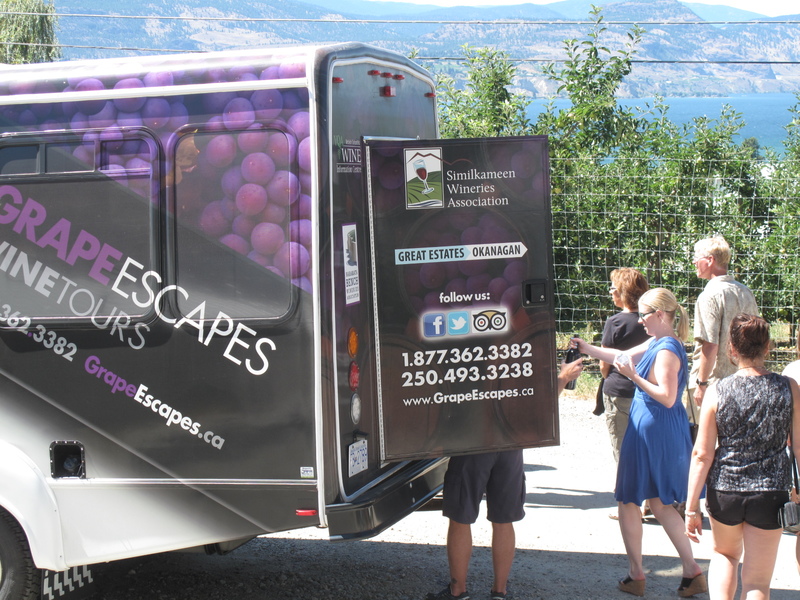 This year we chose Naramata, close to Penticton, British Columbia. Our tradition began when we hiked Hadrian’s wall in 2012 where Roman footprints abound, continued in Montana in 2013 where they don’t, and last year took us to Lucca, Italy where we naturally found quite a few. The wine industry has really boomed here in the last 20 years. 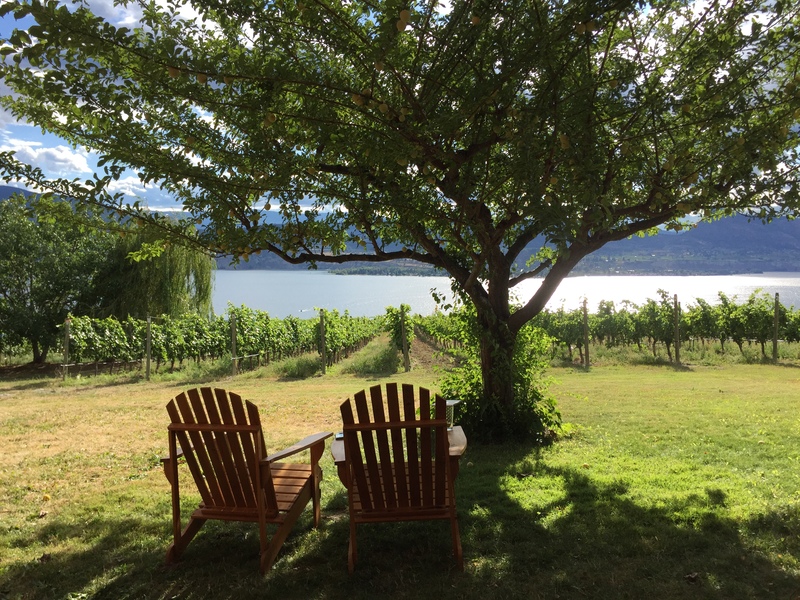 In the 90s there were just a handful of wineries on the 16 km Naramata Bench, and now there are more than 24, many producing award-winning wine. Unfortunately, very few of these small wineries are able to export their wine out of Canada. We drink it all ourselves. Sorry.